Running white-water rivers have been our personal passion for over 20 years. We feel rivers are rich in serenity, excitement, challenge and achievement. With Autism on the rise, we want to do our part and rally our sport to allow those challenged with ASD an opportunity to get active, have some fun, and try a new experience. We have the expertise, equipment, connections and know how to provide secure, rewarding and memorable experiences. We would be pleased if you or someone you know with ASD would like to join us. We will be hosting 3 camps in 2015, one in Canada, one in the United States and one in Mexico. 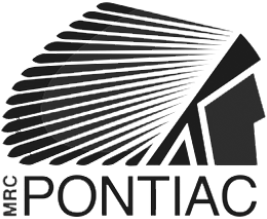 On Monday Aug. 3 we will host our Canadian Camp on the Ottawa River in beautiful Pontiac County. Join the world’s top White-water Ambassadors for a fun, challenging and rewarding day paddling (white-water rafting, tandem kayaking, tandem canoeing, inflatable kayaking or stand-up-paddle boarding) on the Ottawa River. Whitewater Healing aims to match PADDLERS challenged with ASD with a world class Whitewater AMBASSADOR who will share their expertise, love and passion for the river with each and every participant. Located just 90 minutes NW of the Nation’s Capital the Ottawa dishes up great paddling opportunities with warm water. Paddlers will have an opportunity to paddle, swim and enjoy this BEAUTIFULLY SCENIC section of river. For any questions or more information please visit whitewaterhealing.org or give us a call at 1-800-596-7238.